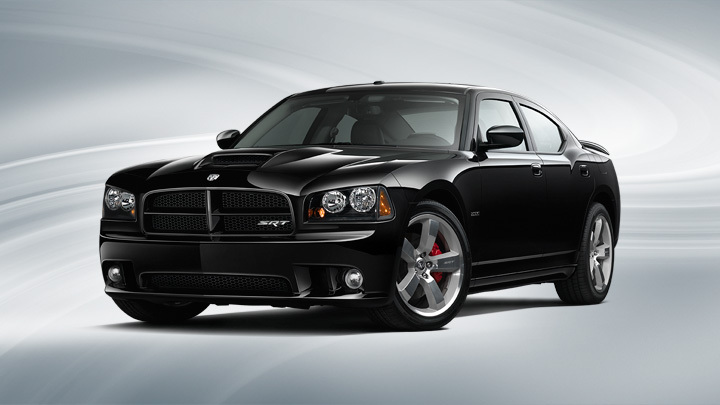 Despite its nostalgic name, "Hemi" power, and fastback roofline, the current Dodge Charger is anything but a retro car. 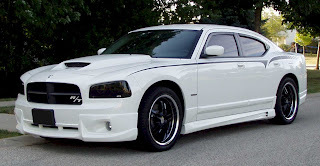 Introduced forty years after the nameplate's first use in 1966, today's Dodge Charger is the first four-door to bear the name. "Bummer," those in the target market - 40- to 60-year old middle- to upper-middle-class men - would have said back then, but large two-door "personal cars" in the style of the classic Chargers of the 1966 to 74 era are, if not extinct, currently deep in hiding. However, the newest Dodge Charger does have the right engine layout, with the engine - a V6 or V8 - in front driving the rear wheels - or, for 2007, all four wheels. 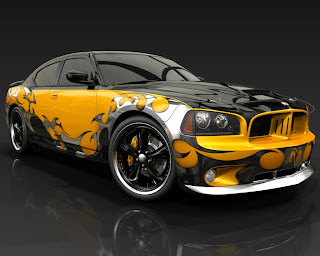 It has a pedigree, too, being the third Chrysler Group car to be based on the previous-generation Mercedes-Benz E-Class platform, after the Dodge Magnum and Chrysler 300. 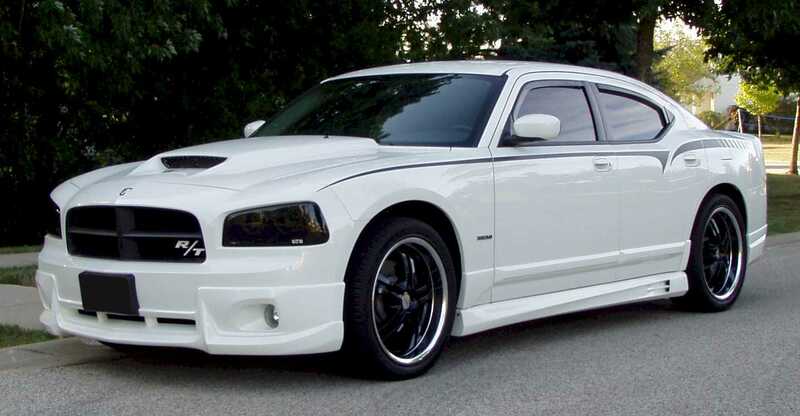 It's far more poised and refined than any of the classic Dodge Charger. If it won't best them in a drag race - and with modern rubber and a 0-60 time of six seconds, it just might - it will certainly run and hide on a twisty road or track. 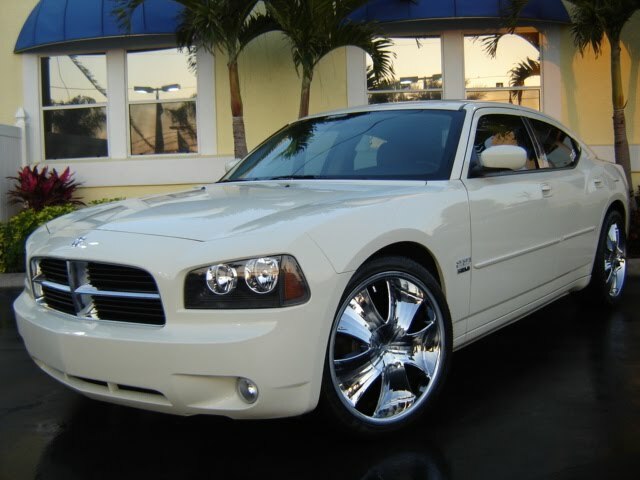 By today's standards, the 2007 Dodge Charger is a large car, and it is categorized by the EPA as such. It has a three-inch longer wheelbase than its 1966 ancestor - which was considered a medium-sized car - and is almost an inch longer. Its four-inch greater height is hidden by its styling, which owes little to nostalgia. Yes, today's Dodge Charger is heavier than those of the past, thanks to contemporary safety and comfort requirements. Perhaps the biggest differences are under the hood. Where the originals had V8s ranging in size from 318 cubic inches to the legendary and almighty 426 cid "Hemi", the 2007 Charger comes with V6 power in its entry-level models. A 2.7-liter, 190-horsepower twin-cam V6 has been added to the lineup this year, in addition to the 3.5-liter, 250-hp SOHC unit. V8 power is available, in the form of Chrysler Group's new HEMI(r), with 340 horses out of its 5.7 liters (or 345 cubic inches for traditionalists). 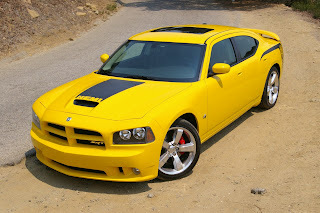 The 2.7 V6 drives through a four-speed automatic, but both the 3.5 V6 and HEMI put the power through a five-speed automatic with "Autostick" manual-shift mode.